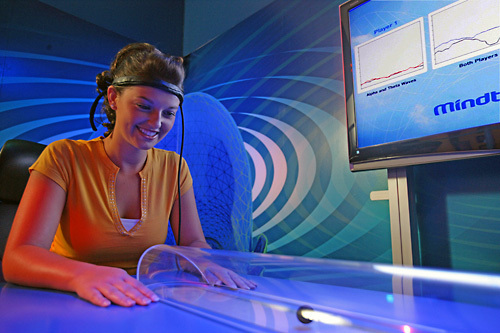 One of Orlando’s top-rated attractions, WonderWorks in Orlando, Florida, features thrills and excitement for all ages. 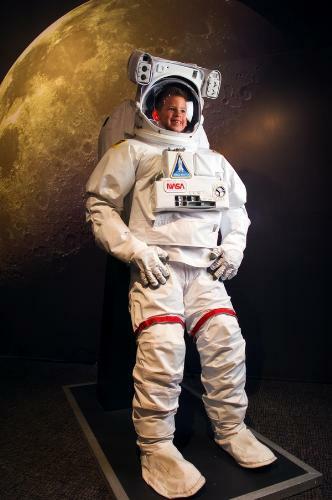 Visitors will find action-packed entertainment, including a glow-in-the-dark indoor ropes course, an exciting backlit laser-tag arena, a 4-D XD motion theater, plus six incredible wonder zones that feature a variety of interactive exhibits and activities. 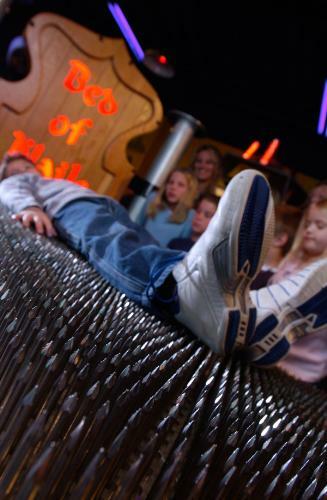 General admission includes the exhibit, ropes course and 1 film in the 4D theater. 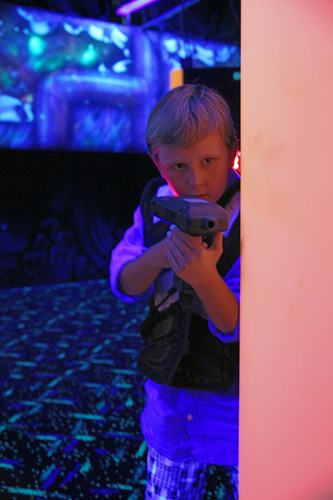 Features 2 - 4 hours of arcade games, thrills, fun activities and glow-in-the-dark indoor ropes course. 4D XD motion theater will take you on an adventurous journey through virtual reality. 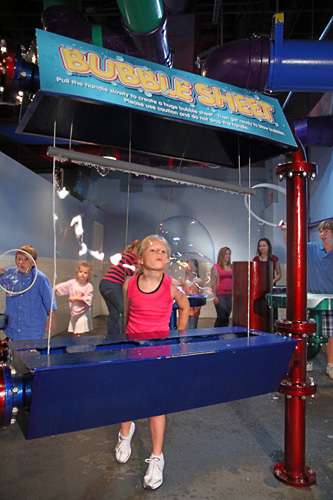 Bubble lab is fun for all ages. No short shorts or skirts allowed while visiting for the ropes course. Parking is available in Pointe Orlando, $3 for the first 2 hours, with a maximum fee of $6. Must be at least 42” in height to participate in the indoor ropes course. 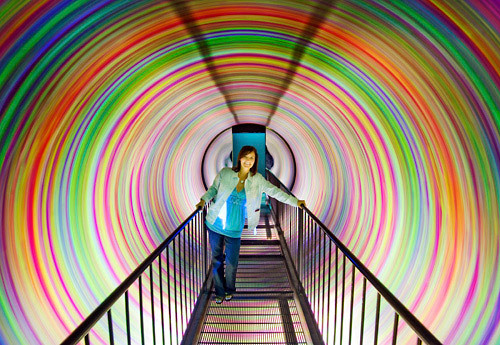 WonderWorks is an amusement park for the mind with over 100 interactive exhibits for visitors of all ages to experience. 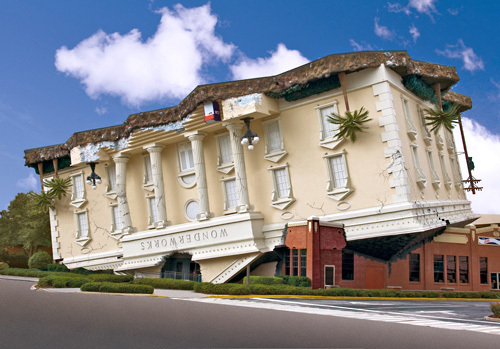 The most eye-catching feature of WonderWorks is the attraction’s dramatic exterior – a three-story tall, classically designed building that appears to have landed upside down, atop a 1930s era brick warehouse. 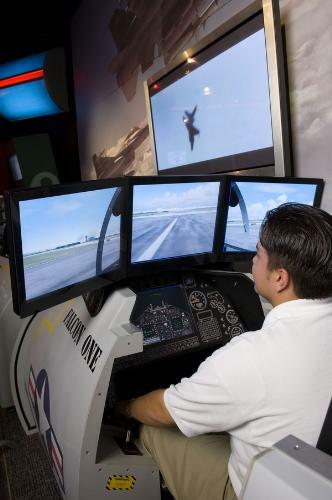 Experience the trembling of a 5.3 earthquake, be blown away by 71mph hurricane force winds, maneuver the controls of a NASA spacecraft to land the shuttle, step inside an astronaut space suit, feel the sensation of 3,500 nails elevate you, fly a fighter jet, make a 3-D impression of your entire body on the WonderWall, design and ride your own roller coaster, play virtual sports plus much more! New attractions - the XD Theater 4D extreme motion ride and 3 Story indoor ropes challenge course - located in the basement/the 3rd level (Closed toed shoes are required for ropes course). While visiting WonderWorks, don’t miss Orlando’s Funniest Dinner Show, The “Outta Control” Magic-Comedy Dinner Show. Enjoy unlimited fresh hand-tossed pizza, popcorn, beer, wine and soft drinks. To purchase your dinner show ticket or a WondeWorks combo package go to The Outta Control Dinner Show listed under Theatre Shows. Parking: Pointe Orlando Parking Garage is $4.00 for the first hour, $2.00 each additional hour, no more than $10.00 per day. You can take pictures inside. 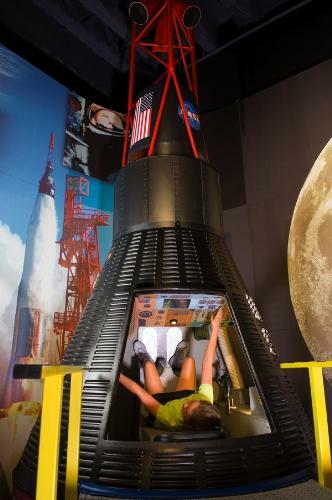 Great photo spots in WonderWorks Orlando include The Spacesuit, The Floating Circuit Head, Mercury Capsule, Hurricane Simulator, and more! Parking is available at the Pointe Orlando parking garage. Parking fees are $4.00 for the first hour, $2.00 each additional hour, no more than $10.00 per day. Lockers are available for 75¢. 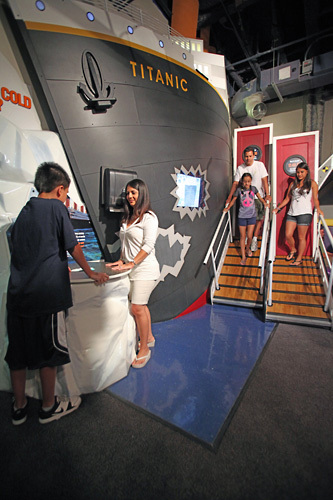 Yes, a WonderWorks attraction ticket allows unlimited fun all day, come and go as you please. Wonder Coaster – Must be at least 48” ( 4' ) to participate. Ropes Course – Must be at least 42" ( 3'6" ) with an adult or 48" ( 4' ) to participate alone. Maximum height is 80" ( 6'8” ). Closed shoes required. Maximum weight limit is 300 pounds. Yes, at the Works Café. Take a break and pull up a chair to enjoy the freshly hand tossed New York style pizza. Other menu items include chicken nuggets, hot dogs, french fries, soft pretzels, popcorn, hand-dipped ice cream, Pepsi products and more. What if my child is under 3 years of age? Children 3 and younger are more than welcome and are admitted free.